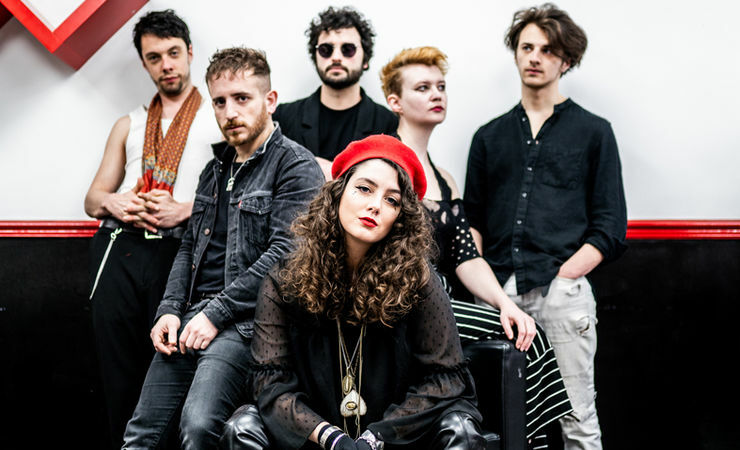 With an amazing 2018 behind them, 2019 brings folk/rock Holy Moly & The Crackers back out onto the stage with a brand new album and an army of growing fans. Come along for the ride - the craziest party in town always has room for one more! Influenced by an eclectic range of music, HMATC play an exciting and visceral blend of styles. In the perfect collision of rowdy tunes, pumping danceability and compelling storytelling, this wrangling folk group present a medley of original songs and old time drinking tunes, both hilarious and thrilling, and sure to entertain! HMATC released their album Salem in July 2017, receiving acclaimed reviews and radio play from several stations. Salem's lead single, the barnstorming indie-rock anthem Cold Comfort Lane, was used for the end credits for the 2018 blockbuster movie Oceans 8. Last summer the band enjoyed accoladed appearances at festivals including Glastonbury, Boomtown Fair, Bestival, Camp Bestival and Beautiful Days. Released in April 2019, their third album ‘Take A Bite’ is a concise, passionate take on folk, blues and indie rock. Fresh from a European tour with Skinny Lister, HMATC are back on the road- come along for the ride and join the craziest party in town! "The musicians are stylistically dazzling"
Chris Kipper Roberts is a singer-songwriter, originally from Wales but now living in Dorchester. Inspired by Woody Guthrie, Chris brings life like lessons to his original songs, writing material in a folky/Blues style. 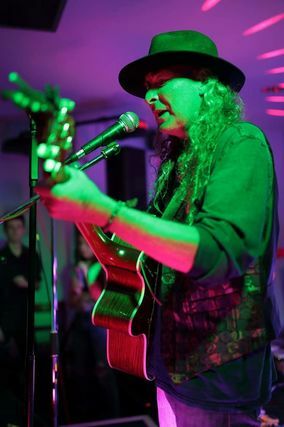 In 2001 Chris toured as support for Irish songwriter Damien Rice, and is set to support The Leylines and Gaz Brookfield this year, alongside a number of festival appearances.